A Rhythms Q&A With PP Arnold. It took fifty years for legendary singer PP Arnold’s album The Turning Tide to see the light of day but when it finally did she completed a triumphant Australian tour. Now Arnold is returning with a new studio album. We asked her to talk about some of the key people and events in her career. I became an Ikette with the Ike and Tina Turner Revue after receiving a desperate call from an ex-girlfriend of my brother, Maxine Smith. She was begging me to go to an Ikette audition with her and a friend of hers Gloria Scott. That morning I had made a pretty desperate prayer to the almighty asking him to help me find a way out of my abusive teen marriage that I had landed myself in. Coincidence? Refusing to take no for an answer, Maxine hung up the phone and in about 30 minutes she and Gloria were at my door. I lied and asked my husband if I could go shopping with them so that he would babysit (I was 17 with 2 children) and he begrudgingly said yes and I was whisked away by Maxine and Gloria. Like magic, I was suddenly in the living room of Ike and Tina singing ‘Dancing In The Street’. That audition led to me becoming an Ikette without ever having an ambition to be a professional singer. My gospel sound and that desperate prayer opened the door to a magical career that I had never dreamed of. I toured the U.S. with Ike and Tina for nearly 2 years on the famous Jazz, Blues, R&B, Soul Chit’lin circuit where every American black artists and musician paid their dues on. In 1966 Ike & Tina had a big hit in the UK with the Phil Spector produced ‘River Deep Mountain High’ that had flopped in the U.S. as a result of the racist radio politics that existed in those times. White stations thought the record was too black and Black stations thought the record was too white. Lucky for Ike & Tina the Rolling Stones loved them and invited them to tour with them on their 1966 UK Tour along with the Yardbirds (with Jeff Beck ad Jimmy Page) and Long John Baldry and Peter Jay and the Jaywalkers. It turned out to be another out of the blue opportunity for me as well. Mick Jagger also produced a duet single with Rod Stewart and I, ‘Come Home Baby’ with Ron Wood on guitar, Keith Richards on bass, Nicky Hopkins on electric piano, and Keith Emerson on Hammond, with Jon Hiseman on drums. I recorded a second album on Immediate, Kafunta, which except for my composition ‘Dreamin’ and ‘Kafunta’ credited to me were all cover songs: ‘To Love Somebody’ by the Bee Gees, ‘Eleanor Rigby’ and ‘Yesterday’, Lennon McCartney, ‘As Tears Go By’, Jagger Richards, ‘Letter To Bill’, Jon Mark, ‘God Only Knows’, Brian Wilson & Tony Asher. The Chip Taylor ‘classic’, ‘Angel Of The Morning’ that did well in the charts for me and was arranged by John Paul Jones and produced by Andrew and John Cokell, all of the other tracks were arranged by Tony Meehan. As you probably know Steve Marriott and The Small Faces and I were label mates on the Immediate record label. Steve Marriott had a great love of American R&B, Blues and Soul so we clicked straight away when we first met. We had a great sound together and a very good energy together on and off stage. I recorded with the band on two of their hit singles. On the ‘Itchycoo Park/I’m Only Dreaming’ single 1967 and also on the ‘Tin Soldier’ track that is well loved and known around the world. Steve and Ronnie Lane wrote and produced my single ‘If You Think You’re Groovy’. Not only did the whole band including Ian MacLagan and Kenny Jones back me on ‘Groovy’, they also played on the Northern Soul ‘classic’ ‘Everything’s Gonna Be Alright’. We traveled throughout Europe together doing many TV Shows like ‘Beat Club’ in Germany and also well known shows in France, Holland, Zurich, Helsinki and many other European cities. We also toured as separate entities on a tour with Roy Orbison. When The Small Faces split and Steve formed Humble Pie with Peter Frampton I sang on ‘A Song For Jenny’ as one of ‘The Soul Sisters’ with Doris Troy and Claudia Lennear. When the band reformed in 1977 for a reunion tour with Rick Wills on bass I toured with them as well as singing backing vocals with the late Vickie Brown on the ‘Play Mates’ album. I continued to Record with Steve on a couple of solo albums and various tracks before he tragically passed away. One was 30 Seconds To Midnight that we covered the Lincoln Chase ‘Clapping Song’ together on. I’m sure that had he lived we would have continued to collaborate musically. You can read the rest of this feature by subscribing to the print edition of Rhythms. 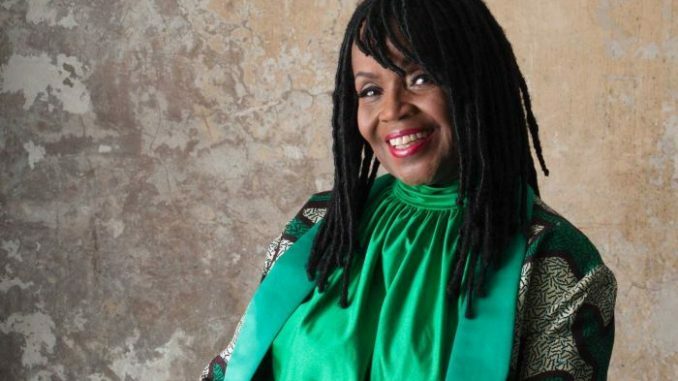 PP Arnold is touring Australia this month.